<!-blue-> Texas, under President Houston, held a defensive posture politically, but the new Texas president, Mirabeau Lamar, began an offensive series of movements with the view of invading Mexico. In the spring of 1841 Lamar dispatched "a trading expedition" to Santa Fe in Mexican territory with the hopes of adding New Mexico territory to Texas to make Texas an ever greater nation. This invasion of Mexico provoked Mexico against Texas. <!-blue-> A few years earlier there was a scheme to invade Mexico and capture Metamoros, but President Houston fought against and killed that idea. <!-green-> "The most dangerous congressional measure he confronted was an act of war disguised as "an act to define the boundaries of Texas." In a breath taking display of imperialism, the (Texas) House of Representatives passed a bill extending the boundaries of Texas to include two thirds of Mexico. It was, of course, Lamar's old dream of extending the territorial limits all the way to the Pacific Ocean." <!-blue-> I am including a brief history here in regards to the conflict between Mexico and Texas. If you are not interested in reading about this conflict, just skip over this section in the smaller green print. I place this history here because certain actions in this war are the "stepping stones" to the Battle of Salado. <!-green-> "Texas had only been a Republic for 6 years, and during the spring and summer of 1842, a great interest was felt throughout the Republic for the annexation of Texas to the United States, but Mexico hated the idea that Texas might become a part of the United States. <!-green-> The Mexican authorities, of course, threw every obstacle in the way of this union that was in their power, and sent out the expedition under General Woll. Their expressed intention was to march through the territory; but their real intention was to make a raid, and thus delay, and if possible, thwart annexation, hoping in the end to induce Texas to submit to Mexican rule. <!-green-> In the meantime President Houston had been trying to bring pressure on Mexico through the mediation of the strong foreign powers. The United States, as we have seen, recognized the independence of Texas in March, 1837, by accrediting to the republic a charge d�affaires. France recognized it by concluding a treaty of commerce and friendship on September 25, 1839, which was ratified on February 14, 1840. British recognition was obtained in a series of treaties concluded in November 1840, but these were not ratified until June 28, 1842. One of these British treaties was an agreement on the part of England to urge upon Mexico the recognition of Texas, and Lord Aberdeen on July 1, 1842, instructed the British charge at Mexico to make the necessary representation to the Mexican government. This was done, but the overture was rejected. Immediately following the ratification of the British treaties an effort was made to get France, England, and the United States to make a joint demand on Mexico for recognition. But England refused to become a party to this tripartite action. At the same time, however, Lord Aberdeen suggested that the three governments might make identical representations on the subject to the Mexican government. Appropriate instructions were accordingly issued to the diplomatic agents of England and France for making such a representation, but these agents, knowing the uselessness of such action, did nothing. <!-green-> On October 15, 1842, just after the retreat of General Woll from San Antonio, President Houston again appealed to the powers to use their influence to compel Mexico either to recognize the independence of Texas "or to make war upon her according to the rules established and universally recognized by civilized nations." <!-green-> "It has now been nearly seven years since the declaration and the establishment of the independence of this republic. During the whole of this time Mexico, although uniformly asserting the ability and determination to re-subjugate the country, has never made a formidable effort to do so. Her principal war has consisted of silly taunts and idle threats, of braggadocio bulletins and gasconading proclamations. All her boasted threats of invasion have resulted in nothing more than fitting out and sending into the most exposed portions of our territory petty marauding parties, for the purpose of pillaging and harassing the weak and isolated settlements on our western border." <!-green-> Mexico �s object, he said, was merely to keep alive its claim to Texas and to retard the development of the country by threats that it had neither the intention nor the means to carry out. <!-green-> Daniel Webster was secretary of state at this time in the United States, and on November 12, 1842, he instructed Waddy Thompson. the American charge at Mexico, to urge recognition. The United States saw with pain the preparations for war..."
<!-orange-> Quoted from Frank W. Johnson, "A History Of Texas And Texans." <!-blue-> So due to the above reasons, a war began cooking with Mexico that would eventually get Thomas M. Rice killed. <!-blue-> On the morning of September 11, 1842, a Mexican Army captured San Antonio, Texas, in a lightning fast move. General Adrian Woll was in command. He was a Belgian mercenary but was born in France. His name was pronounced "Gual" in the native French. He caught the Texans there completely by surprise. He commanded a force of 1450 infantry, cavalry and artillery troops and captured the town without a shot being fired in it's defense. He decided to wake up the surprised citizens of San Antonio that morning with the sounds of his "noise only" cannon fire. <!-green-> "However, news of the invasion spread rapidly to the former DeWitt Colony settlements of Seguin, Gonzales and the Lavaca River as well as into the settlements on the Colorado and Brazos Rivers via couriers who had escaped imprisonment. <!-green-> In San Antonio the District Court of the Republic of Texas had been in session under Judge Anderson Hutchison since the first of September with attendance by many area officials and lawyers from as far away as Gonzales. The advocates had no choice but to surrender to General Woll�s forces under conditions that they would be treated as gentleman. After five days, about 55 prisoners were told that they would have to march to the Rio Grande where they would be handed over into the custody of his superior, General Reyes and likely be set free." <!-blue-> Houston was emotionally aggravated by this news. He issued mobilization orders to the Texas militia to expel the invaders and pursue them into Mexico if necessary so <!-green-> "that they should receive that chastisement which the injuries inflicted upon us imperiously demand." <!-blue-> Houston's attitude appeared to be: Santa Anna can capture San Antonio but let's see if he can hold it. <!-blue-> The Mexicans held San Antonio for nine days. They marched off their prisoners to Mexico and waited to see what the Texans would do next. Santa Anna wanted to make sure that the messages he was sending to Texas was crystal clear. Did these actions prevent this? No. Texas still joined with the United States, and during the Mexican War with the United States, Mexico lost a great deal more land including what is now the states of Arizona, New Mexico, Nevada, and California. 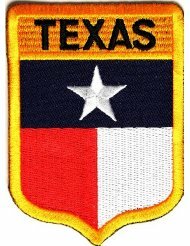 <!-blue-> Texas president Houston ordered Colonel Mathew Caldwell of the Texas Army at Gonzales, Texas, to gather together the Texas minutemen and militia to attack Gen. Woll at San Antonio. Caldwell gathered a militia of 225 men at the Cibolo River on the San Antonio Road above Seguin and marched toward San Antonio. Some of these troops included former prisoners involved in the unsuccessful Santa Fe expedition including Colonel Mathew Caldwell. On September 17, his troops made camp about 6 miles east of San Antonio below present New Braunfels at Salado Creek and planned their attack on the Mexicans. <!-blue-> On September 18, Caldwell sent a force of Texas Rangers headed by Captain John C. (Jack) Hays to draw the Mexicans toward the battlefield he had chosen. Their military mission was to lure the greater Mexican force toward the force of 202 Texans. The Texans had the battlefield chosen to their advantage. <!-green-> "From a ridge 300 to 400 yards from the Alamo, Hays men waved, shouted and challenged the enemy to come out of the Alamo onto the field, as if they were preparing for battle. The actions resulted in a charge of over 400 Mexican cavalrymen out of the Alamo, which turned to a hot pursuit when Capt. Hays and the company turned around and appeared to be running away toward the Salado River. Some distance out, the horse of Captain Augustus H. Jones of Gonzales, a close personal friend of Captain Hays, began to fall behind in relation to the others in the main force. Captain Hays put the entire company just behind Captain Jones with his slower mount leading the way. This contingent led the Mexican force across the Salado River right to Capt. Caldwell's waiting men, hidden in the sunken river bed of brushy bottom land." <!-blue-> The Mexican cavalry charged Caldwell's position but many of their soldiers were shot off of their horses. They dismounted and formed a skirmishing line, firing for 3 hours. They sent word to General Woll who marched out of San Antonio with an estimated 850 Mexican soldiers and 2 cannons to attack the Texans. <!-blue-> The Mexican Army attacked across open ground in front of Caldwell's men. They were cut to pieces. The front lines of the Mexican infantry were forced to fall back behind their cannons for cover, out of rifle range. They made several smaller charges that were repulsed with heavy casualties. <!-green-> "Col. Caldwell and the Texans- in good concealment in the Salado bottom- resisted the Mexican attack, killed 60 Mexicans and wounded many more, with only one Texan killed and 9 wounded." <!-orange-> Quoted from Gen. Thomas Green's Journal of the Texian Expedition Against Mier. <!-green-> In this battle "Caldwell was doing splendidly, because he knew how to fight both Mexicans and Indians and knew better than to give either an even break. The Mexican cavalry could not ride into his timbers and no Mexican infantry force of only three-to-one could assault Texas rifles firing from cover." <!-blue-> But just as the frontal fight ceased between Caldwell and the Mexicans another battle started. Capt. Nicholas Mosby Dawson showed up with fifty-three Texas minutemen who attacked Woll's rear guard troops. There was quite a battle and several Mexican soldiers were killed and wounded. Dawson was trying to join Caldwell but was at a tactical disadvantage and out-numbered. Him and his men were soon placed on the defensive and defeated. <!-blue-> Texas General Green stated, <!-green-> "Gen Woll, sorely disappointed in driving the Texian wolves from the bush, was about retreating when he was informed a company of Texians was advancing upon his rear, some two miles distant. This company proved to be the gallant and lamented Captain Dawson and his 53 men, mostly from Fayette Co., who had determined upon succouring Caldwell; and it proved a favorable opportunity for General Woll to withdraw from Caldwell without the appearance of flight; consequently, he retreated to some distance and dispatched a large portion of his force to attack Dawson." <!-blue-> At sundown, Gen. Woll carried his dead and wounded off of the 2 battlefields. His army returned to San Antonio for the night and then retreated over the Rio Grande River back into Mexico. General Woll had delivered Santa Anna's messages to Texas bureaucrats <!-red-> written in blood. <!-blue-> According to Wade's account, "Out of a group of 53 men, 35 were left dead on the ground, three escaped, and 15 were taken prisoner." Thomas Rice was among the 35 dead. <!-green->	"As an officer under General Woll in the recent Mexican campaign against San Antonio, Colonel Carasco had displayed an eagerness to avoid bloodshed. When Woll's troops attacked the town on the morning of September 11, Carasco convinced the Anglo residents of Bexar to lay down their arms, impressing upon them the hopelessness of their situation. One week later, Mexican troops under Carasco engaged Dawson's company as it advanced to join the Texans at Salado Creek, but again the Mexican colonel moved to end the carnage once the defeat of Dawson's men was assured. According to Z. N. Morrell, whose son was among the Dawson survivors, Carasco drew his sword and drove his men away, thereby putting a stop to the slaughter." <!-blue-> A second contigent of Texans, numbering about 100 men under James S. Mayfield, reached the scene of the conflict the evening of the 18th, having almost overtaken Dawson. Scouts advised Mayfield of Dawson's plight; the force advanced to the edge of the timber and watched Dawson and his men fight to the death. Mayfield thought it folly to attack the Mexicans, who so outnumbered them and had artillery, so his detachment failed to go to the rescue of Dawson; they camped in the timber until night and then joined Caldwell the next day. <!-blue-> About sundown, Gen. Woll re-assembled his entire war machine- employing about 60 carts to bear away most of his 200 wounded and some of his dead- and made a triumphal entry into San Antonio; from there, he returned to Mexico. <!-blue-> When Col. Caldwell's men arrived the next day, a horrible sight confronted them. Dawson's dead had been stripped and mutilated. Meanwhile, the prisoners were being marched to Mexico where they faced death. <!-blue-> The obituary of the Dawson Expedition is found in the Houston newspaper, Telegraph and Texas Register: "The details of the fate of the unfortunate company from La Grange are distressing in the extreme; there is consolation, however, in the recollection that they fought nobly to the last and died like the immortal heroes of the Alamo, bidding defiance to the foe. Their names shall live while the name of Texas endures, illumined with a halo of glory." <!-blue-> Note: there is a town named Salado, which is north of Georgetown, Texas on I-35. But that town has nothing to do with the Battle of Salado. The Battle of of Salado occurred on the Salado Creek which runs northwest to southeast through Bexar County and eventually joins the San Antonio River south of San Antonio. Now Salado Creek is actually in San Antonio, however, when they were doing all that fighting, it was north and east of the city. <!-blue-> Elizabeth could have sold her possessions and moved her family back to Ohio but she chose to stay in Texas. She carried on with her life after Tom's death. She never remarried even though she was only 37 year old. Thomas was killed just 10 days before their wedding anniversary. They would have been married 18 years in 1842. <!-blue-> Richard Chisholm and some of the other friends of the family helped them out and comforted Elizabeth. To help fill the spiritual vacuum caused by Tom's death I believe the Lord moved another Rice family into the area to be their neighbors. This was the Rev. William Rice family and they were wonderful supportive neighbors as well as spiritual helpers. This Rice family was from the North Carolina branch of the family (ours was from the Massachusetts branch). They stayed for a number of years and then moved on (I believe to the Dime Box area close to Austin if I remember correctly). They were not directly related. <!-blue-> James Rice, Thomas' oldest son, had to step in and become the leader of the family and shoulder the burdens in place of his father. He worked hard and never married. <!-blue-> Martha (Mary L. Rice) was 17 years old when she gave birth to Asa Samuel Rice, her son. She was unmarried. Elizabeth was there for both and loved and helped raise Asa as her own. Asa really loved his mother and named his first daughter after her: Mary Ellen Rice. But Asa really loved his grandmother also and named his second daughter after her: Ann Elizabeth Rice. <!-blue---------------------------------------> What's In a Name? <!-blue-> Elizabeth attended Martha's wedding to Joseph A. Newman in Wharton Co., Texas, on Feb. 9, 1848, and it was a joyous day for all of them. For awhile Joseph accepted Asa as his own son and Asa is listed as Asa Newman on the 1850 census. Once again Elizabeth got to attend the birth of another one of her grandsons when Martha gave birth to her second son, Leander G. Newman born in 1849. But it was a sad day when Elizabeth had to attend the funeral of Martha a few years later. Asa was then raised by grandma Elizabeth and also he spent a lot of time working on Oliver's farm. Asa loved his two favorite uncles: Oliver and James because Asa named his first son after them, Oliver James Rice. Asa took his mother's maiden name of Rice for his last name due to their kind and loving influence on him. <!-blue-> Elizabeth attended the wedding of her son, Oliver Rice, when he wed Adeline Courtney at Clinton, Texas, on March 22, 1854. It was a happy day for all. She was there when her grandson was born in 1855. In regards to Oren A. Rice- there has been quite a discussion on what his name really was. In several census accounts it is listed as Orien, Aaron, and Oren. I think it could have been O'Ryan, possibly one of Elizabeth's ancestors from Ireland. Nevertheless, the name was settled by the man himself and he called himself Oren. The relatives called him "Uncle Iron." And Elizabeth was blessed with another grandson from Oliver and Adeline, William Henry Rice. <!-blue-> Remember when Oliver Rice from Massachusetts (the grandfather of Thomas M. Rice) went marching off to Fort William Henry during the French and Indian War? Well, our Oliver Hugh Rice in Texas had a sense of humor. He was searching for a name for his son. He reached back into family tree history and named his son William Henry Rice. This odd tradition of naming sons after events or strange people repeated itself when William Henry Rice named his oldest son, Jesse James Rice, after the outlaw, Jesse James, who he read about in a book. <!-purple-> At the time of my daughter's birth in 1982, I had a missionary bottle evangelism ministry. One of our missionary bottles had landed in Dutch Indonesia. The finder wrote us a letter in Dutch saying that he was a Kristen protestant. I liked the name Kristen so I named her Kristen Emily Rice, Emily being my mother's name. <!-purple-> When my youngest son was born I was looking for a name for him. I went to my wife's father and asked him if we should name our son after him and he said no. When asked the same question, my father also said no. So I looked back into family tree history and named him Scott because Jemima McClure's father came from Scotland and was a Scott. 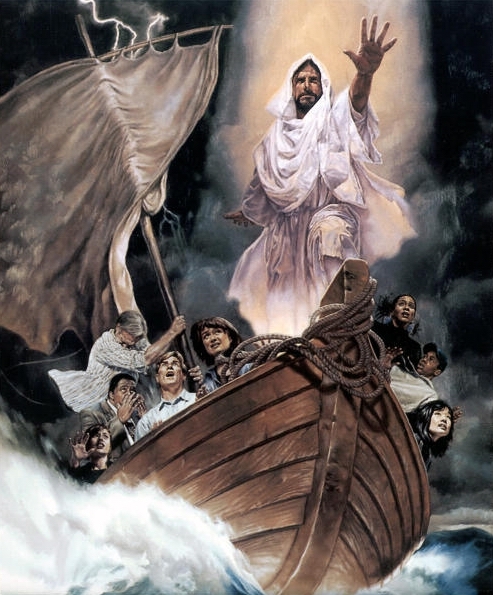 I was spiritually saved (in the Navy) when my Bible study group was studying the gospel of Matthew. So I named my youngest son Scott Matthew Rice. <!-purple-> My father, Hanford Maurice Rice, was named Hanford because his parents knew a sailor by that name and liked it. My mother, Emily Ann Schmidt, was named after her father. His name was Emil Schmidt so her parents just added the letter y to his first name and came up with Emil(y). She didn't like the name Emily, so most of her life she went by her nick name, Vicky. <!-purple-> I was named after a woman- a mystery writer by the name of Craig Rice. I had one of her books in my library. I was asked in a job interview one time if she and I were related since I had her name. The answer was no and then I changed my name in court to Kraig. I didn't want any of my writings to be mixed up with hers. <!-blue-> Elizabeth attended the wedding of her son, William Wilson Rice, in Guadalupe Co., Texas, on Nov. 7, 1858, when he wed his first wife, Nancy Ann Baker. What a wonderful time everyone had. <!-blue-> But Elizabeth was feeling sick and things were not looking well for her. There was a big Thanksgiving dinner that someone else had to cook and all were there. They were all concerned about her health. Shortly after Thanksgiving Elizabeth (Wilson) Rice died. We know this because her oldest son, James, filed court papers in December 1858, selling his part of the inheritance to his younger brother, William Wilson Rice. In my initial research in 1978 I overlooked this document and so I thought her death to be in 1859. I apologize for this mistake. <!-blue-> There was no official obituary written in the local newspaper. But later the Thomas McClure Rice Association placed a bronze plaque in the Clinton Cemetery (Cuero, Texas) in her honor. "Elizabeth (Wilson) Rice was loved by her whole family and greatly missed when she died. To some she was every much a hero as her husband. She died at the age of 53. She was survived by her 4 sons, James, Oliver, William W., and Thomas R. Rice. She was also survived by 4 grandchildren: Asa Rice, Leander Newman, Oren Rice, and William H. Rice. She was preceeded in death by her beloved husband, Thomas M. Rice, and her only daughter, Mary L. (Martha) Rice. And she has been greatly missed ever since." <!-blue-> During World War II the U.S. Army would send a telegram to a soldier's next of kin if he died in defense of his nation. Every family was terrified of receiving such a notice as it caused so much pain. The telegram conveyed the message their loved one was "killed in action." That means that he died in battle- that he went out of this life in a blaze of glory. It is a risk that every soldier takes in every war. 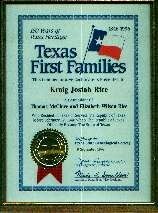 <!-blue-> Thomas M. Rice was killed in action but Elizabeth did not receive such a telegram because she was told in person as the Texas Militia always expressed their personal regrets. What a horrifying time it must have been when the rider dismounted at her house and told her that Captain Dawson and his men had fallen in battle and that her beloved husband, Thomas M. Rice, had been killed in action. How did she feel? <!-blue-> I think I can express her feelings through my mother's similar experience in 1987. My father, H.M. Rice, had had quadruple by-pass open heart surgery 3 years earlier. The doctor used stainless steel wire to wire his sternum (breast bone) back together. He was under doctor's orders not to exhert himself physically nor eat a lot of high cholesterol food. But he violated both of these orders and when he would do push-up exercises on the floor he would laugh at the sound his sternum made as the two halves rubbed together. He had just come from the doctor who told him he was in great shape and that he would live to be 100 years old. He was 64 years old and crowed about how he had outlived his father who died at age 64. Hanford was retired, but became the President of the South Cloverdale (Calif.) Water Company. Since his interest was electricity he went down to the pumping station and rewired electric motors and ran underground electric wires doing the work himself. The company gave him a raise in pay and this really excited him so he wanted to do more. One morning he grabbed a heavy metal digging bar and went to dig in the ground at a water junction box. While digging he suffered a massive heart attack. He walked 2 steps toward his pick-up truck and sat on the seat reaching for the microphone of his 2 way cb (civilian band) radio. His handle was "Bear Tracks" and he was trying to call mom. He died there on his pick-up seat. The deputy sheriff found him and drove to mom's house with the bad news. <!-blue-> The deputy sheriff told my mom that her husband was dead. Mom did not shriek, or cry, or wail out loud (like the women of Gonzales, Texas, did in 1836, when they heard the bad news that 33 of their men had been killed at the Alamo). Mom said it was just like somebody had hauled off and punched her in the stomach. She was stunned and emotionally sick and had to go into the house and lay down. <!-blue-> I am sure Elizabeth took Tom's death real hard. It must have been a visit for Elizabeth just like the one my mother received. It was not a good time for the Thomas Rice Family in Cuero in 1842. But it is normal for a person to grieve for a year over the death of a loved one. <!-blue-> Sgt. H.M. Rice was fighting the Germans in the hedgerows of France east of St. Lo during World War II. He ran across one of the hedgerow openings while checking on his men when a German machine gunner opened fire on him. As he was running he tripped over something and fell flat on his face. Just when he did a stream of machine gun bullets ripped directly over him. If he had not fallen he would have been killed. He looked back to see what he had tripped over that saved his life. There was nothing there. That is when he knew that his guardian angel had saved his life. It was a telegram that never had to be delivered. I wondered about this so one day I asked his mother about this. She said that her sons were in the military during World War II (Montrose was in the Navy, and Conard, Hanford, and Davis were in the Army. Two did not go: Hale was crippled with polio and J. Howard was too young). She told me she was in intercessory prayer constantly for her sons who were in the military at that time. She knew it was Christ who had saved Hanford's life on the battlefield of Normandy. She proudly boasted (and rightly so) that God brought all of her sons back to her from the war. <!-blue-> Thomas M. Rice died fighting for Texas independence. He made the ultimate sacrifice for his Republic of Texas, his immediate family, and his future descendants. Let him never be forgotten. Let him always be our hero. And lets consider this article written about him to be a salute and a tribute in appreciation to him. 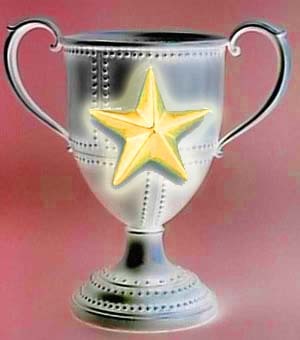 It is a 21 gun salute if you please and if we had a silver cup made for him we could enscribe the words "well done" on it. He is indeed our hero of freedom. <!-green->	"In the Spring, 1994, issue was an article about Thomas McClure Rice, who emigrated to Texas with his wife and family in 1836, settling near Fort Bend. Thomas McClure answered a call to arms after the battle at the Alamo, and was killed in action on September 18, 1842, at the Battle of Salado Creek, leaving his wife and five children, aged seven months to fifteen years. Life went on for Elizabeth Wilson Rice, who raised her children and lived until 1858. <!-green->	In May, 1995, a memorial plaque was dedicated by the TMRA in the cemetery where Elizabeth is believed buried. The last paragraph reads, "The sacrifice and legacy of Elizabeth and Thomas Rice will always serve their hundreds of descendants and the people of Texas." <!-green->	"It is my pleasure to report a most exhilarating inaugural meeting of the THOMAS RICE MCCLURE ASSOCIATION (TMRA) on May 6, 1995. Seventy-one were in attendance at the Clinton Cemetery in Cuero, Texas, for the dedication of the memorial marker for ELIZABETH WILSON RICE. Members of the James W. Fannin Chapter, Victoria, Texas, of the DAUGHTERS OF THE REPUBLIC OF TEXAS conducted the ceremony. The memorial is a 24" x 36" bronze plaque with a CITIZEN OF THE REPUBLIC OF TEXAS medallion at the top. It is a fitting tribute to one who sacrificed so much and gave us the rich heritage of strength and courage. <!-green->	Also in attendance was the Texas Living History Color Guard. Five members in period constumes made the cermony more meaningful. They have since "adopted" the cemetery, ELIZABETH's marker in particular, as their own. <!-green->	We are particularly appreciative to Dennis Rice representing the EDMUND RICE ASSOCIATION. His enthusiasm and knowledge helped to foster an even greater appreciation for the goals of both associations. [The number of] new members to your association is evidence of his work here. <!-blue-> The Thomas McClure Rice Association is now inactive but it was wonderful that such an organization once honored his name, memory, and sacrifice. <!-blue-> Let's keep the remembrance of Thomas McClure Rice and his Texas Republic alive. And like the flag over Texas I say, "Long may it endure!" Click here to go to part one of the history of this family in the U.S.A.
<!-orange-> Click on the above picture if you want to learn how to have peace in your heart.